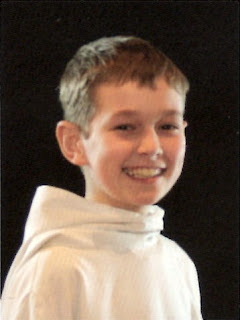 We have not seen this member for a long time in Libera since the USA concerts. Can you guess who's birthday is it today? In case you guys forget, it's James Mordaunt (AKA Mini James) :D!!! Hello, birthday boy. We missed seeing you in Libera. With your cute smile and personalities, you know how to bright up our day. I'm not so sure if he has left Libera already. I hope you come back to Libera and to see you in concerts. Libera on UKTV "This Morning"